User removed from thread. This is not the place for this. Last edited by Sherman; July 27th, 2017 at 10:01 AM. The Father is not the Son, nor the Holy Spirit. The Son is not the Father, nor the Holy Spirit. The Holy Spirit is not the Son, nor the Father. Why is slandering the holy spirit mean death then? Because He gives the testimony of Jesus. Without the testimony of Jesus there is no salvation. YHWH is the word that is the god; not Yeshua. Yes, the exact same Logos. It was about Abraham still being alive, and seeing his day and being happy about it. I like how you read all of that into the verse, where it says nothing of the sort. Kai and mou seperate both parts of the would be subject or start of the sentence. Seems pretty clear to me that Jesus was the Lord of him and the God of him. See, there's a funny thing about the greek language. When the Greeks talk about gods, they rarely (if ever) put a definite article in front of "theos," because they're polytheistic, and defining one of their gods as "the god" would elevate one as "the god." But when talking about the one true God of the Bible, except for a few exceptions where the grammar requires differently, God is written as "the God," or "ho theos." For example, "TO AN UNKNOWN GOD," or "AGNOSTO THEO," is the inscription Paul mentions in Acts 17:23. Not "AGNOSTO HO THEO," because that would imply "the" God. When there's no definite article in front of a noun in Greek, it's like putting "a" or "an" in front of a noun in English. 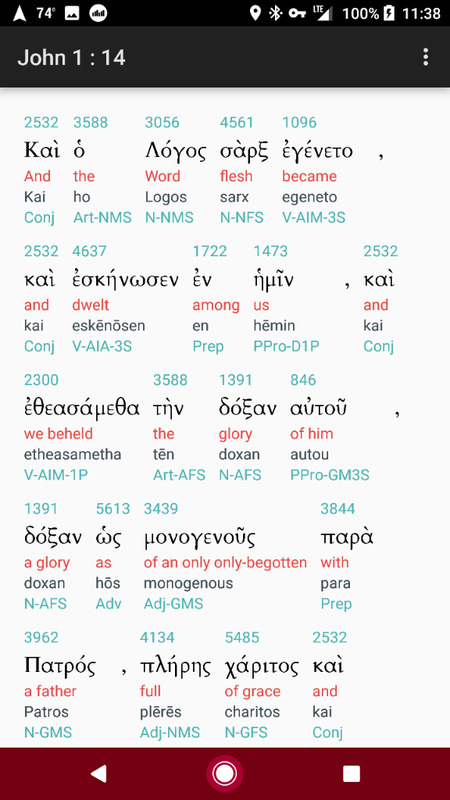 Paul, in verse 24, calls this "unknown god" of the Greeks "The God" in the very next verse. If this distinction was not here in the Bible, between the way the greek pagans spoke greek and the way believers in Christ spoke Greek, defining "ho theos" instead of just "theos," it would be very difficult to determine which "god" or "God" is being talked about. English translations are not proof of anything because they are sloppy. It needs to improve. The only sloppy translations here are yours. They need to improve. They aren't sloppy. The idenifite articular construct is older than the english definite articular constructs. What does John 1:1 say? "And God was the Word." That's literally what it says. So therefore "the Word" = "God" = "the Light" = "Him". Who is the first chapter of John talking about? The Word, The Light, Jesus Christ. to them gave he power to become the sons of God, even to them that believe on his name: Which were born, not of blood, nor of the will of the flesh, nor of the will of man, but of God." This logos not the logos of the hebrew name YHWH. The passage is not talking about a "word." The passage is talking about the "Word." Anything else would be idolatry. Just so we're on the same page, Trinitarians believe the Word (logos) in John 1:1 is Jesus Christ, the Son of God, who is God. Not "a" word. "The" Word. They rarely do that because they are talking about a specific god. That's the stupidest thing I have ever heard. Let's stay away from fallacious arguments, like the argument from incredulity. "To the unnoticed one the god". Even your example is unconvincing. I'm giving you the literal translation of "AGNOSTO THEO." Why are you trying to say it doesn't say what it says? AGNOSTO THEO" literally translated means "unknown god," which in English translates to "to an unknown god." There's no definite article there. Please stop adding to scripture. Seems to me you don't know what the nominative case is. Perhaps you should just look at the image I am providing. 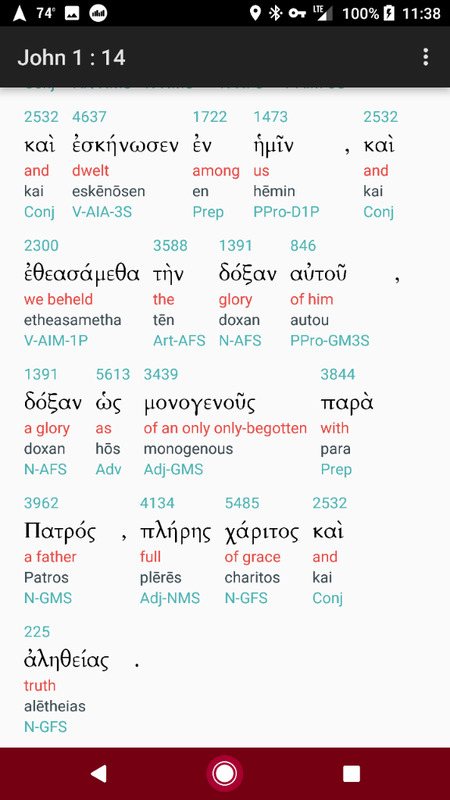 Koine Greek was the language the New Testament was originally written in, no? So then why can't you accept what it literally says? You need to consider that you are an idolator. How about instead of making baseless accusations, you provide an argument for your case. In front of the strange glowing screen of an inexplicable mechanism. The word “Trinity” is found nowhere in the Bible. It is a word that describes theology. First came Jesus and next came men’s theology that sought to develop a meaning that was overlaid on Jesus’ words amd deeds. Plus, the idea of a Trinity negates the foundational Jewish idea of monotheism. Straw man. No one here claims that that's our position except those who reject the triunity of God. Please try a rebuttal against our actual argument. First came Jesus and next came men’s theology that sought to develop a meaning that was overlaid on Jesus’ words and deeds. The Bible calls God an old woman giving birth, a storm cloud, a mountain, a potter, an eagle. Everyone uses metaphoric language when describing the holy or the sacred. So nothing is preventing you from believing that “the Trinity” describes God. The theology of the Trinity indicates God is some sort of divine trio. Not the One God that Judaism believes in. And again, the word Trinity is not found anywhere in the Bible. And neither are the terms "atheism...monotheism...rapture...omnipotent...omn iscient..... God the Holy Spirit...The Sermon On The Mount.. Holy of Holies... God the Holy Spirit.........."
Sophistry. Deceit. Grade school fluff. The theology of the Trinity indicates God is some sort of divine trio. Notice that you said: "The theology of the Trinity indicates God is some sort of divine trio." And, that you did not say: "The theology of the Trinity indicates [three gods are] some sort of divine trio."